Click on “Product” tab to add Rich Snippet code with selected product. 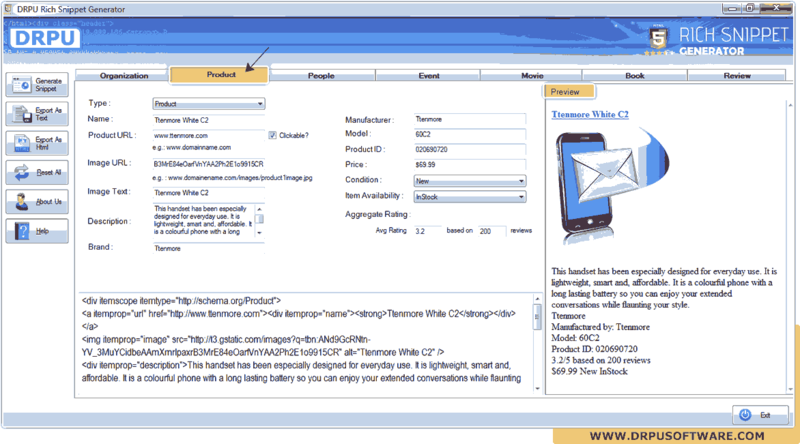 Fill all required details and preview of corresponding Rich snippet file is shown at right side of screen. 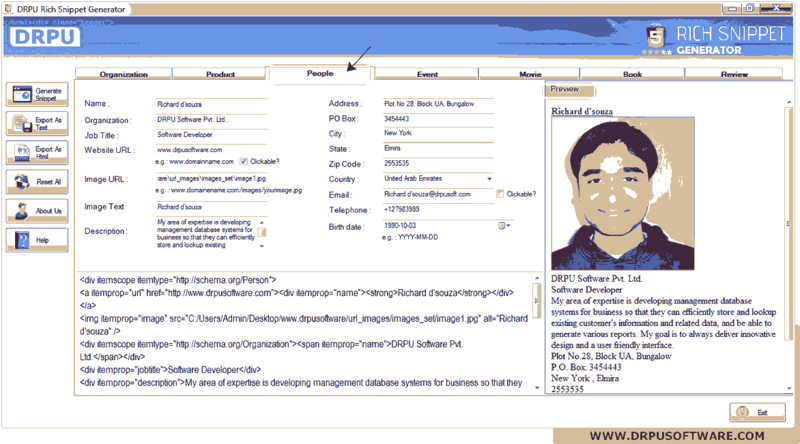 Click on “People” tab to add schema with particular person’s details. Preview is shown at right side of screen.